Holiday cheer before Thanksgiving confuses me. However, after a wonderful dinner celebration with friends and family, cold weather setting in and December just around the corner, I embrace it 110% - the aroma of fresh cut frasier firs, holiday lights twinkling in the windows, Celtic Christmas tunes and, of course, holiday-themed booze. Today's cocktail is brought to you by me switching to full-on holiday mode and Will's father mis-hearing another cocktail I had mentioned (whiskey ginger) as "Wingding Juniper." An excellent name if I ever heard one. Add all ingredients to a cocktail shaker. Shake vigorously without ice to start forming foam. After 30 or so seconds, add ice and shake until the shaker frosts over (it's nice to use a kitchen towel to hold the shaker so your hands don't freeze). 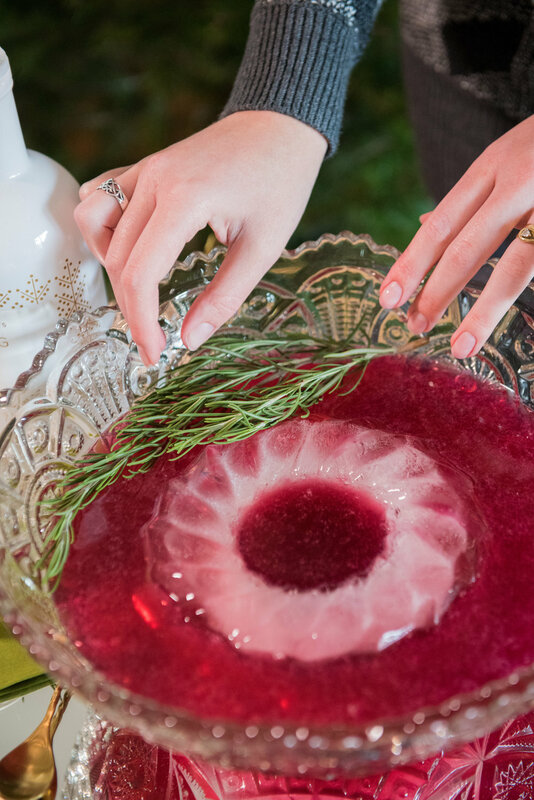 Strain into a stemmed glass and serve up while decorating your tree and listening to holiday tunes!